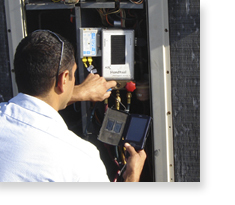 Alpine Mechanical Service’s fusion of skill, advanced technology, communication and well-respected service in the HVAC industry has proved to be a successful combination. It resulted in Alpine Mechanical Services being recognized in Inc. Magazine’s Inc 5,000 list of the fastest-growing private companies in the Unites States and twice in the Philadelphia 100 list, which identifies and honors the 100 fastest-growing, privately held entrepreneurial companies in the Greater Philadelphia Region. In addition, our founder and President, Mark Barraclough, was inducted into the Philadelphia 100 CEO Hall of Fame in recognition of leading his company to steady, continued growth and ongoing innovation. All combined, this results in Alpine Mechanical Services being able to continue our mission of providing superior HVAC service to our clients, in turn helping them increase their HVAC efficiency and decrease service, repair, maintenance and energy costs.